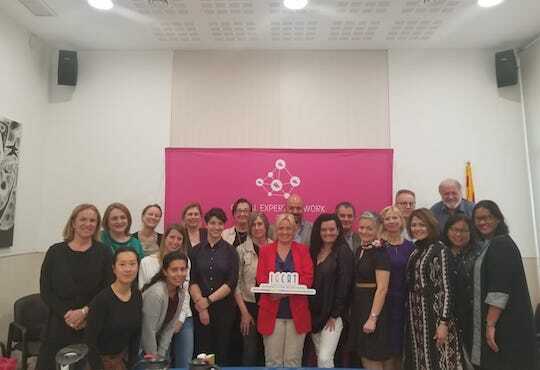 The International Institute of Gastronomy, Culture, Arts and Tourism (IGCAT) held its 6th Annual Expert´s meeting amongst calls by world experts to expand the flagship Region of Gastronomy Award to include regions beyond Europe. As the awarding body of the Region of Gastronomy title, IGCAT’s mission is to raise awareness of the importance to safeguard and promote distinct food, culture, arts and sustainable tourism assets. This is essential to balance against globalised food trends that are impacting on our planet, health and local economies. IGCAT is a non-profit institute established in 2012, working with regional stakeholder consortiums in the fields of gastronomy, culture, arts and tourism and at the gathering of over 20 esteemed professionals from the cultural, tourism and hospitality fields from around the world, it was seen that IGCAT’s work needs to be recognised globally. IGCAT co-founder Dr. Diane Dodd opened the meeting noting that – As more and more people are attracted to the excitement of global food brands and witness a widening of choice of world foods, in fact they are part of a trend towards a reduced knowledge or negative attitude to their own food heritage and culture – and thus food diversity in the world is in decline. It is urgent that we turn around the tide because if we don’t, we will see increasing and devastating consequences on our planet, our ability to drive sustained local economies and salvage our health. The Annual General Meeting of experts approved the 2018 accounts and annual report as well as approved the budget for 2019. More importantly, they set the ball in motion to have IGCAT Institute registered as a non-profit foundation which is intended to give more stability and prestige for the Region of Gastronomy Award while at the same time allowing the association of IGCAT experts to become more independent.